Can you imagine what God could do through a group of united faithful followers who encircle the globe? God has blessed me as president of Child Evangelism Fellowship® to be able to meet with missionaries from all over the world. Their commitment to Jesus’s Great Commission inspires me to do more. I’ve witnessed the Gospel shared in impoverished communities, in places remote and difficult to get to, and in areas dangerous to Christian witness. My heart has rejoiced to see hundreds of children sit under the African sun and listen intently to a Bible lesson. 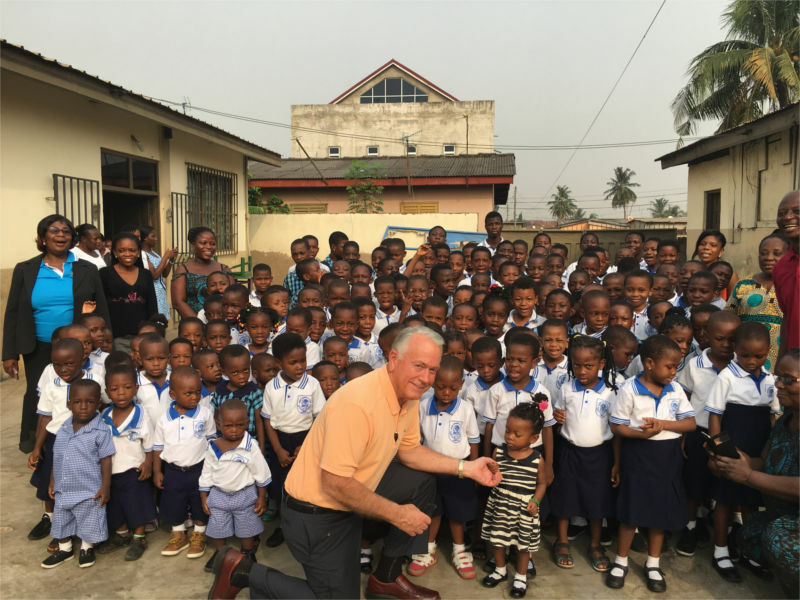 I marvel at how God has united a vast variety of people from around the globe to work together to carry out His mission to share the Gospel with Every Child, in Every Nation, Every Day. God provides missionaries, teachers, leaders, volunteers, supporters, and trainers, as well as people who produce and provide materials and people who pray. By working together we are able to reach even more! GO in His authority. Jesus has authority over all things in Heaven and on Earth. He will accomplish His purposes in spite of the difficulties we face. GO and make disciples. Jesus wants us to boldly share His Gospel message. He sends us on a mission to impact lives with the Gospel. GO to all nations. Jesus loves people of every tribe and nation. He might take us outside of our comfort zone. GO and teach the Bible. Jesus desires disciples who will obey His commands. He wants us to walk in obedience to God’s calling. GO assured of His presence. Jesus promises His constant companionship. He encourages us to never give up. Daily, I am motivated by something I heard years ago: The only thing you can take to Heaven is other souls. That’s why I am committed to the ministry of CEF®. Boys and girls face an eternity separated from God. But the Gospel can change their lives, now and forever, by the grace of God. I want to GO forward in life and impact lives with the Gospel in spite of difficulties, even if it takes me outside of my comfort zone. I want to live in obedience to God’s calling and never give up. Will you GO with me?